It looks like planning permission has been granted for converting this building (St.Paulinus) into apartments. 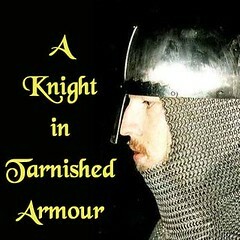 I have heard there was an earlier R.C. 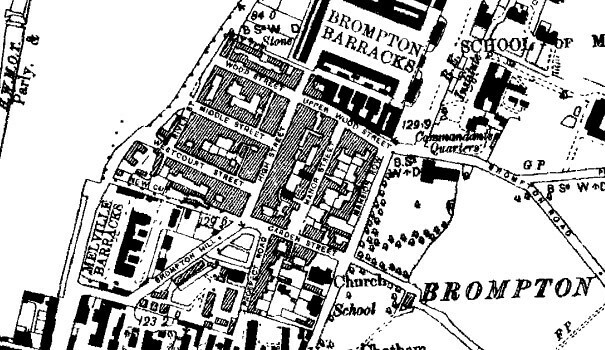 Church in Brompton, so the position suggested might represent this, but the maps I've seen don't show anything exactly in this location. 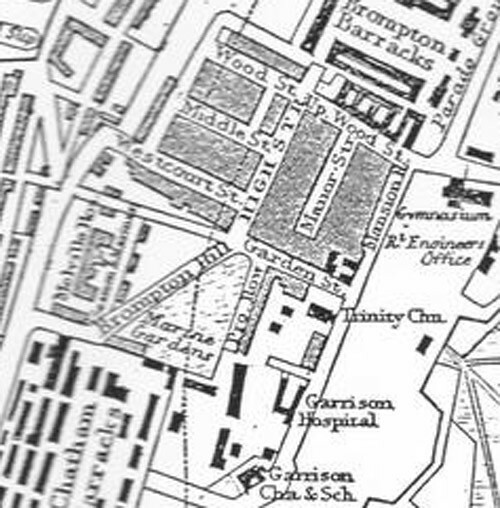 Until around the late 1880s or 90s Manor Street was a cul-de-sac and Garden Street ran unbroken on that side from the High Street to Mansion Row, although there were a couple of 'courts' (Hewitt Court between No 10 & 12 and Miller's Court between Nos 18 and 20). Locating these is hard since all the current buildings between No 6 and No 22 were erected at various times in the 20th century. 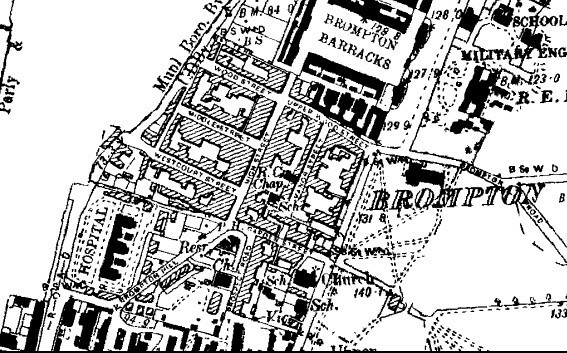 I have noticed that on the maps Military & Church buildings are shown in solid black. On the 3 later maps below the church (Wesleyan then R.C.) 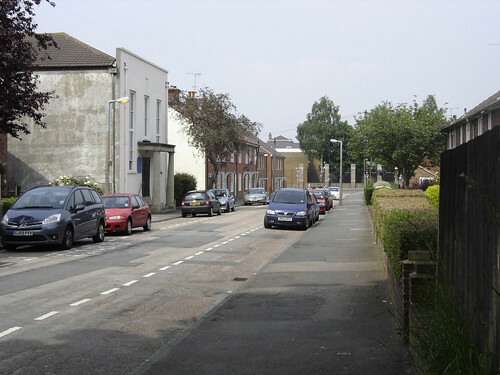 halfway down Manor Street is shown. 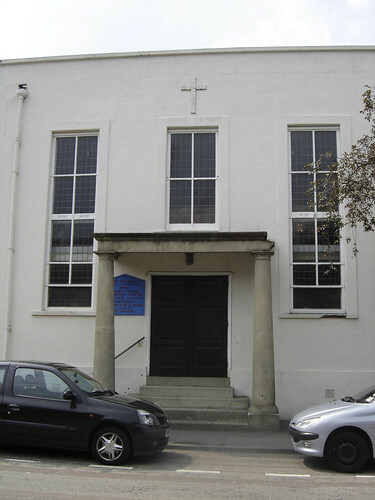 There is also a second black building nearer Garden Street, between Manor Street and the High Street. 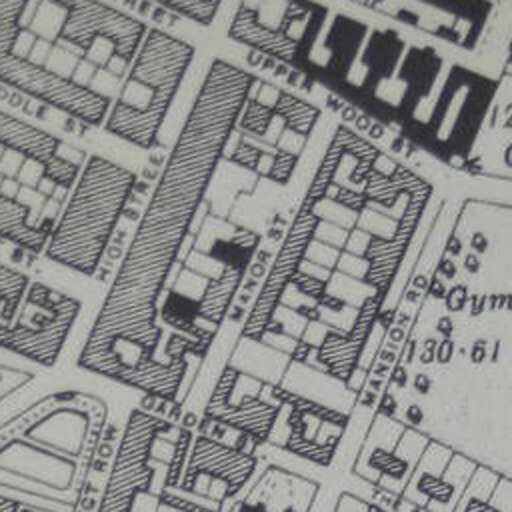 The 1898 map (and another I have from 1922 showing the edge of this building) show it as a school, but it did occur to me that it may have been the original R.C. 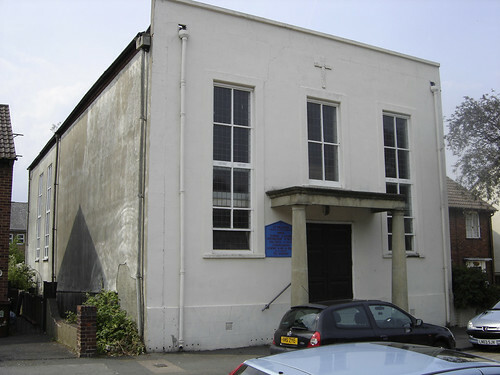 Church converted into a school when the church took over the Wesleyan site. If this is the case, maybe the old pub patron's recollections were close, but just a little out on the exact location. Does anyone have any more information/memories to clarify this?